Face it – You belong on the runway, strutting your stuff, selling the latest fashion to an eager public. Your chance is at hand. Thrift Store (formerly Silver Angel) is planning a fashion show for June 15 and they’re looking for models of every age, stature, experience to show off their hot merchandise. Manager of the store is Lynn Albright. You’re find more on the web. Thrift Store is at 1928 Central Avenue Northeast. 612 789 0600 Hours are Mon-Fri 10-6 and Saturday 10-5. Watch for Thrift Store at the new Village Farmer’s Market at St. Mary’s Cathedral where they will have a presence on hand during Market hours Wednesdays 3:00-7:00. Farmer’s Markets are popping up all over Northeast Minneapolis! During the months to come we will be visiting and reporting on the wide variety of options available to Northeast customers. For Windom Park residents the news is that Village Farmer’s Market is not waiting this year for Lindners to move on. The season starts on Monday, June 6, with Sidewalk Days – vendors open on the sidewalk outside shops in St. Anthony Village Shopping Center. June 6-27 the Sidewalk market will be open Mondays, 3:00-7:00 p.m. The traditional market on the SAV parking lot opens July 11 – no Market on the 4th. Meanwhile, the Village Farmer’s Market has opened another site at St. Mary’s Cathedral parking lot, 1701 6th Street Northeast. A visit to the new site last week offered promise of a great site, a mix of vendors, and a welcoming atmosphere. The St. Mary’s Cathedral is open Wednesday afternoons throughout the summer. Due to the unending Winter of 2011 the Village Farmer’s Market scheduled for Sunday, February 20, has been postponed because of the anticipated blizzard. It is tentatively re-scheduled for next weekend, weather permitting. Winter marketing is about the only thing “hot” in Minnesota this year – and the Village Farmer’s Market winter venue turns up the heat this Sunday, February 20, with an afternoon of good listening to spice up the culinary treats. The big draw is the food, of course. There are fresh potted herbs (chives, basil, sage, rosemary, oregano, marjoram, mint) and possibly some container-size heirloom tomatoes and peppers. Once again Lily’s will be serving their famous French crepes. The Winter Market is at the St. Anthony Community Center, 3301 Silver Lake Road in St. Anthony. The Market will be open on the third Sunday of March, April and May, 11:00 AM-3:00 PM. According to the infallible Wikipedia Annona is a genus of flowering plants in the pawpaw sugar apple sugar apple family cultivated in Mexico since 1000 BC. Currently, seven Annona species and one hybrid are grown for domestic or commercial use mostly for the edible and nutritious fruits; several others also produce edible fruits. Many of the species are used in traditional medicines for the treatment of a variety of diseases. Several annonacaeous species have been found to contain annona. 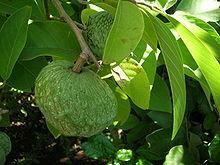 Annona is also a goddess, personification of plenty or the produce of the yearly harvest. Botany and mythology aside, for increasing numbers of Twin Citians Annona is becoming a household word, not because of the flowering plant but because of Annona Gourmet. Annona is a gastronomic treasure trove of taste-satisfying treats for the gourmet and for lurkers who want to know about subtle tastes. In just two years Annona owner and Windom Park resident Jean Rarick has made her welcoming shop an essential destination for many and a the hub of the community. Visitors will find gourmet delicacies accented with neighborhood news and a glimpse of what’s next in Northeast Minneapolis, St. Anthony Village and environs. Several years ago, while pondering a career change from the international business world of fine paper, Jean was laid off. Having traveled extensively with her previous job, she had seen the gourmet shop concept in other countries and states. Knowing there was nothing just like she craved in Minnesota, she decided to open Annona Gourmet in The Village, a relatively nondescript strip mall that straddles St. Anthony Village and Northeast Minneapolis. Annona Gourmet fills the gustatory gap while the community benefits by Jean’s commitment to stay in Northeast where she has lived for the past 25 years and where she has had family in the area since the late 1800’s. Annona Gourmet also provides a lively outlet for local entrepreneurs with ideas, kitchens and workshops and a pitch to local customers. Annona Gourmet offers an endlessly tempting array of gourmet delicacies – a rich assortment of vinegars that Jean rotates on a regular basis, extra virgin olive oils from around the world, pasta, sea salt and a mix of locally produced products. Shoppers will find such local products as honey, jams, salsas and snacks plus a variety of art, pottery, jewelry and crafts, including handsome woodcrafts – and of course aprons — created by local artists and crafters. Recent additions to the gourmet shelves include coffee from Café Palmira, biscotti from LindaLiscious and seasonings from Kayak Kitchens. Visitors to Annona Gourmet, 2807 Pentagon Drive in the Village Shopping Center, will also find a warm welcome, taste tests of fine vinegars and virgin oils, and a new appreciation of gustatory subtleties introduced by Jean who loves fine cuisine, her adventuresome customers, her community and good music as played on her favorite KFAI – not necessarily in that order. Shoppers and shopper wannabes will also find a busy shopkeeper and community resource, currently making big plans for the St Anthony Village holiday special set for December 10 – more on the traditional SAV carriage rides, vendors and entertainment in future posts.